"Spectacular views of Lake Ontario! " This one bedroom suite includes in-suite storage not to mention unbeatable living in Guildwood Village with spectacular views of Lake Ontario and access to the GO train. You’ll love the outdoor exercise room, swimming pool and sauna. Call us today at 416.266.5155 to book your showing. 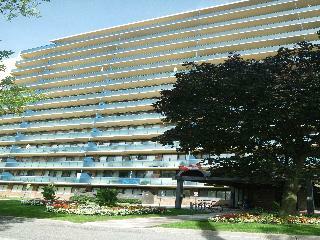 Unbeatable living in Guildwood Village with spectacular views of Lake Ontario. Beautiful, well-treed setting with convenient access to GO train. You’ll love the swimming pool, sauna, new balconies, in-suite storage! Call us today at 416.266.5155 to book your showing. Call us today to book your showing!